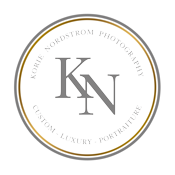 Thank you for stopping by Korie Nordstrom Photography! If you’re interested in booking or have any questions please use this contact form or email me directly at korie@korienordstrom.com. Please feel free to call as well. "Our experience with Korie Nordstrom was great. She was very professional and fun to work with. We love how our pictures turned out and we would definitely use her again in the future." "There are so many wonderful things I can say about Korie. Our family had the pleasure of having our first session with her about a year ago. From the moment we met Korie, she made us feel relaxed and comfortable. Just being in her presence gave us countless reasons to smile. Since that first meeting, we have had two additional sessions with Korie. Each session has been unique and creative. Korie puts all of her heart into her photography and will go above and beyond to make sure everything is prepared down to the smallest detail. Each time I view Korie’s photography, it is very clear to me that she has a real gift for capturing the perfect lighting. It is incredible how she finds a way to give her subjects such a beautiful natural glow. I cherish all of our photos and I am grateful to have found someone as amazing as Korie! I can't wait for our next session!" "I met Korie and Abigail when they where wrapping up the first round of shooting down in Shockoe Bottom. The sun was glowing, and Abigail’s face was full of excitement and smiles. For the next location, Abigail chose the Edgar Allen Poe Museum to reflect her love of poetry. Korie was so patient and willing to give this unusual setting a chance for capturing her portraits. The photographs from the museum turned out remarkable and are Abigail’s favorite! This particular moment in the overall experience really signifies the difference and value you get from partnering with Korie to mark the turning of time in your family’s life. We can’t be more pleased with her professionalism and dedication to ensure the portraits are personal, meaningful, and beyond beautiful." "Korie, thank you so much for today! You are amazingly patient and you were able to get Caroline to laugh and be natural. She normally hates having her photo taken, but she did great today!"